So, my kids are pretty good about eating vegetables, but I’m still always looking for new ways to get even more in to them. They’re not so keen on cauliflower in its cauliflower state, but they do like cauliflower soup so I thought I’d try making a sauce out of it. Throw in some (okay, a lot of) cheese, and you have yourself a winner! Bring two saucepans of salted water to the boil, one for the pasta, one for the cauliflower. Cook the pasta as per packet instructions until done. Roughly chop up the cauliflower, und cook for 8-10 minutes on a medium heat until tender. While the pasta and the cauliflower are boiling, melt the butter in a saucepan and fry the garlic in the butter for a minute or so until starting to turn golden, being careful not to let it burn! Once cooked tender, puree the cauliflower with the garlic butter, milk and Parmesan – I used a blender stick for this. Season with salt and pepper, and a pinch of nutmeg. This sounds yummy. My kids would love this so will have to remember for a quick tea! Looks and sounds delicious. 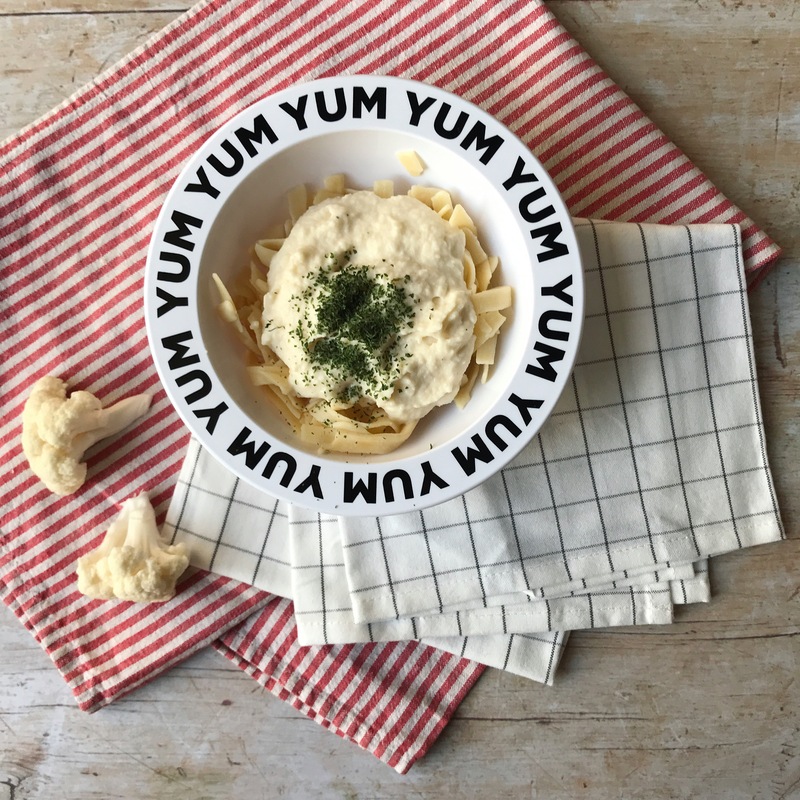 Cauliflower cheese was a firm favourite when I was weaning our twins, but now only one will eat cheesy pasta. He is addicted and the other one can not stand it! Great idea to put the cauliflower cheese with pasta. I find kids will try most food if it comes with pasta. It looks yummy. What a great idea. My two have an aversion to cheese though so I’d probably have a mutiny on my hands! This sounds delicious. My son also doesn’t like cauliflower but hidden in a sauce he might just eat it. If not I’ll enjoy it! I must confess, I often run away from cauliflower but this is a nice way to include it in m diet. 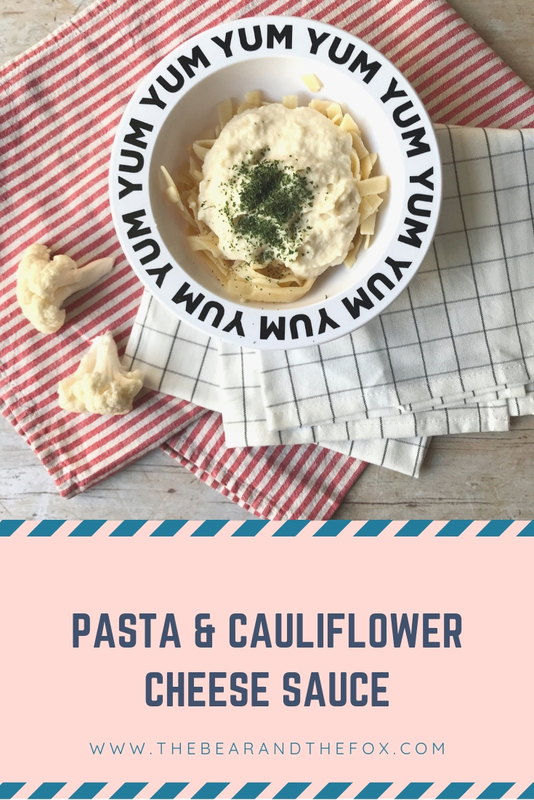 I personally love cauliflower, so the flavor in here totally won’t bother me, and this looks like such a good way to have a mac and cheese that is a bit less fattening and won’t make me feel like crap the next day. Thank you for the great recipe! Pinned.